Las Vegas is brimming with entertainment and vibrancy, and what better way to go around the area than driving a luxury sports car? 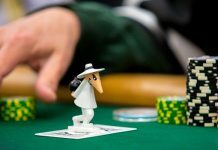 Las Vegas is an insanely popular destination, with millions of tourists visiting yearly. There are lots of accommodations to choose from, both downtown and on The Strip. Make your stay even better by renting a sports car. Some will even offer to pick you up at your hotel. There are numerous sports car rental companies in Las Vegas that offer a wide range of exotic cars. Some have tours, allowing you to discover the main attractions Sin City can offer. Driving a luxurious sports car around Vegas will add a whole other level of class to your entire trip. You get to arrive in style at Las Vegas’ awesome casinos, bars, and restaurants! You can choose from a Ferrari, Porsche, Audi, Lamborghini, and pretty much any sports car you like. Here are some of the best companies where you can rent a sports car in Las Vegas. Enterprise’s Exotic Car Collection includes exotic sports cars, as well as luxury SUVs and sedans. The collection features a wide selection of luxury vehicles from international manufacturers, such as Maserati, Bentley, Ferrari, Porsche, Range Rover, etc. Enterprise already has 50 years of experience in the car rental industry. It is a brand that is recognized all over the world and has airport and neighborhood locations. Enterprise provides personalized service, and, in some locations, can even deliver and collect your rented sports car at your convenience. The driver must meet the minimum age requirements of the renting location. Must make an acceptable form of payment (credit card, debit card, or cash). 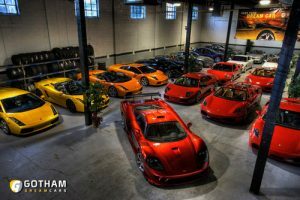 Gotham Dream Cars has locations all over the United States. The company offers “ultra-exotic” and luxury cars from international manufacturers, including Bentley, Aston Martin, Lamborghini, Ferrari, Porsche, Rolls Royce, etc. Gotham Dream Cars has been operating since 2004 and is considered a trustworthy company. There are three main types of sports car rental services offered by Gotham Dream Cars. First, there’s the “Exotic Car Rental,” which lets you rent your chosen vehicle for a day, weekend, week, or longer. The service also offers door-to-door delivery, and the rentals start at $395 per day. Its next type of service is the “Dream Car Sprint,” which will give you the chance to go on a sports car thrill ride. Here, you will be able to drive your chosen car on a specially designed autocross course. The rate starts at $249. The third type of service is the “Dream Car Tour,” where you can go on a three-hour driving adventure. In this package, you will be able to drive up to six different cars on Vegas’ best roads. The dream car tour is priced at $1,195. 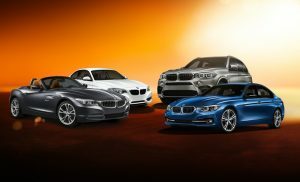 Sixt is another company that offers a wide variety of luxury cars. You can choose from sports cars, SUVs, convertibles, etc. 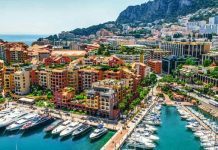 According to the company, it stands by its motto of “premium cars at affordable rates.” Sixt has a vast collection of premium cars that you can choose from, including Mercedes-Benz, BMW, Cadillac, Audi, etc. To be able to rent a sports car from Sixt, you would have to be 25 years of age. You must also have a credit card and a driver’s license that you have been holding for a minimum of one year. 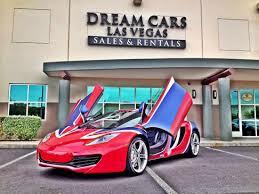 Dream Cars Las Vegas is an independently owned company that offers a complete rental car solution. 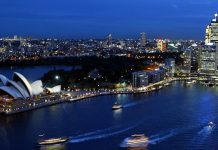 It has a diverse fleet of vehicles, as well as an experienced team. The company aims to provide great customer service to meet the needs of many of Las Vegas’ premium hotels. Apart from the luxurious vehicles, the company also offers special meet-and-greet services for VIP guests. It also provides customers free drop-offs and pickups to any location in Las Vegas. This rental company gives you the option to get insurance replacement rentals, where your insurance company will be directly billed in the event your car is being fixed following an accident. 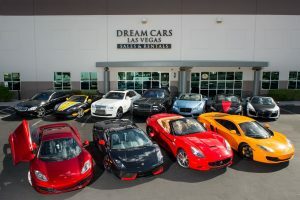 Dream Cars Las Vegas has a vast selection of vehicles that will be able to suit just about any budget. The company does not ask for a security deposit. It also offers delivery and pickup, as well as complimentary shuttle service in Vegas. It accepts credit and debit cards, and drivers must be at least 21 years of age. Dream Cars Las Vegas also offers a special discount for law enforcement and military personnel who are still in active service. Furthermore, there are special bachelor party and wedding packages, and complimentary airport pickups and drop-offs. If you want to rent a sports car for only a couple of hours, you will be delighted to know that it offers three-, six-, 12-, and 24-hour rentals. However, you can also rent a sports car if you will be using it long-term. 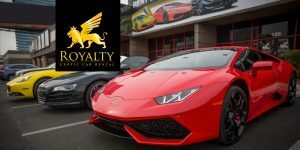 Royalty Exotic Cars has a large selection of sports cars and exotic cars, as well as autocycles and motorcycles. The company offers a huge variety and even has several car rental categories. First, there are the “Hypercar Rentals,” which feature the best-of-the-best automobiles. These cars are exclusive, definitely flashy, and expensive. Next, there are “Supercar rentals,” which offer innovative and lightning-fast vehicles, such as a Lamborghini and Ferrari. There are also the “Exotic car rentals,” featuring cars that have unique body designs, powerful engines, and customized interiors. Of course, there are “sports car rentals,” which offers low-to-the-ground and compact cars with precise steering. Royalty Exotic Cars has the Nissan GT-R, BMW i8, Audi R8, etc. Now, if you are interested in driving as if you are in a “Mad Max” movie, you can also check out its “Slingshot rentals,” which feature three-wheeled trikes that are even faster than some sports cars! Royalty Exotic Cars requires no security deposit. Additionally, there is no limit on the mileage you get with your sports car rental, but you have to stay in Clark County, Nevada. Dream Exotics Las Vegas claims to have the least expensive rates for exotic and luxury car rental in Las Vegas. All its rentals cars are detailed and replenished with a full tank of gas before getting handed to the driver. The company offers four-, eight-, and 24-hour rental plans. 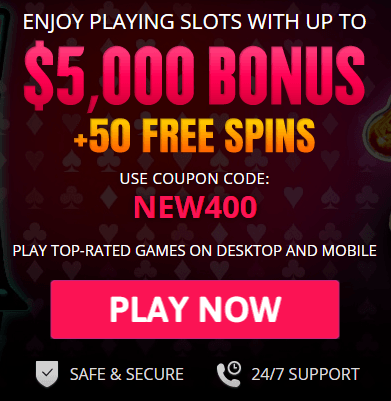 Dream Exotics Las Vegas requires no security deposit and accepts cards, as well as bitcoin payments. You will get unlimited miles in Nevada, and you will also be able to enjoy delivery and pick-up services anywhere in Las Vegas. 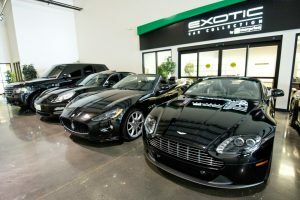 To be able to rent a car from Dream Exotics Las Vegas, you would have to be 25 years of age or older, and you would also need a valid license.